A look at how you can change up your camera view in No Man's Sky NEXT. In No Man’s Sky NEXT, many players have been wondering how to change the game’s camera from first-person to the new third-person perspective. Prior to the release of No Man’s Sky NEXT, the game was exclusively playable in first-person. 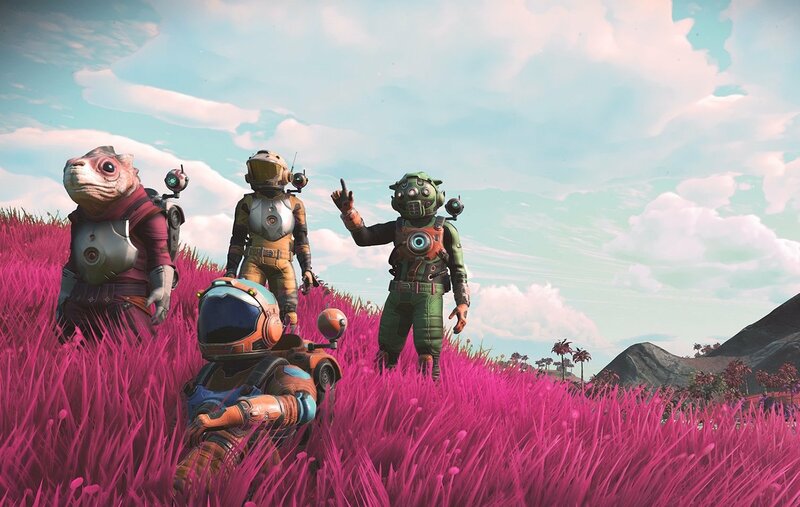 Following the release of No Man’s Sky NEXT, players can now enable customize and check out their avatar from a third-person perspective. To help you change up your camera view, we put together a quick guide on how to switch from first-person to third-person perspective in No Man’s Sky NEXT. Thanks to the No Man's Sky NEXT update, you can now switch between first-person and third-person camera perspectives. Switching the camera from first-person to third-person perspective in No Man’s Sky NEXT is actually a relatively simple process. First, to change your view from first-person to third-person, make sure you’ve fully installed the NEXT update. With No Man’s Sky NEXT installed, load up the game. Hit “down” on your d-pad to bring up the menu. Scroll until you find “Utilities” then hit X (PS4) or A (Xbox One). Locate “Toggle Camera View” in the Utilities options. Here, you can flip the Toggle Camera View from first-person to third-person mode. Save your changes and exit the menu. Note that you can also switch back to first-person perspective using the steps above. With everything complete, you should now be able to play No Man’s Sky NEXT in third-person perspective, and be able to switch the camera back to first-person perspective should the need arise. For more on No Man’s Sky NEXT, be sure to check out some of our other guides including how to get a Freighter in No Man’s Sky NEXT, and how to get Chromatic Metal in No Man’s Sky NEXT. By reading through this guide, you should now know how to change the camera from first-person to third-person perspective in No Man’s Sky NEXT.